Born John Roy Anderson on October 25, 1944, in Lancashire, England, Jon Anderson would grow up to become one of the most recognizable voices in progressive rock. He began his musical career by joining his brother Tony's group the Warriors. Eventually, that band relocated from England to Germany, but Tony had left the group by then. So, the only Anderson still in the band by 1965 when they cut their first single was Jon (technically still John at that time). The single received a less than enthusiastic welcome and Anderson left the group in 1967, having put in five years with them. His next move was to the group the Party, but that one was quite short-lived. By 1968, Anderson had returned to England and recorded two singles under the moniker Hans Christian Anderson. Those received responses similar to what the Warriors' single had. Anderson found his way into the group Gun, but only stayed there for a couple of months. The year was 1968 and musical history was about to be made with an introduction in a London club. Jon Anderson was introduced to Chris Squire, and finding a kindred spirit in music, he began showing up at gigs of Squire's band Mabel Greer's Toy Shop, whose guitarist at the time was Peter Banks. Anderson started getting up and singing with the group from time to time, eventually becoming their vocalist. However, Banks had left by the time Anderson was inducted. More pieces gradually began to fall into the mix as various musicians were brought into the Toy Shop fold. First Bill Bruford, then Tony Kaye. 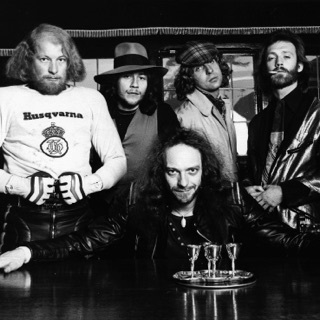 By the time Peter Banks returned, the band had decided to change their name to Yes. They released their first two albums in 1969 and 1970, and both received good critical response, but didn't gain a large commercial or radio presence. 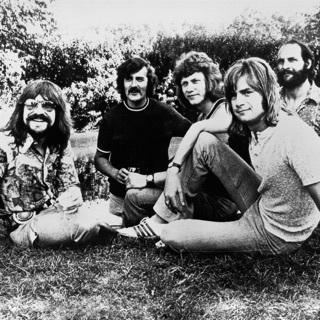 By the time that they recorded 1970's The Yes Album, the band had replaced Peter Banks with Steve Howe and the combination, along with a stroke of luck at a U.S. radio station, proved the charm that started their commercial career. Interestingly, Anderson found the time for side projects even amidst recording and touring with Yes. In fact, he would show up on two albums in the first two years of the decade. The first was King Crimson's Lizard and the other was Johnny Harris' All to Bring You Morning. 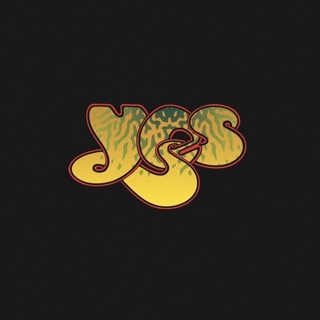 The next Yes album, 1972's Fragile, would feature both the debut of new keyboardist Rick Wakeman and the single "Roundabout." The combination propelled the group and Anderson well into the spotlight. For the next couple of years, Yes occupied the majority of Anderson's time. With the recording of three more studio albums before 1974 and steady touring, he would have little time for much else. However, after the tour for Relayer, things began to settle down a bit. 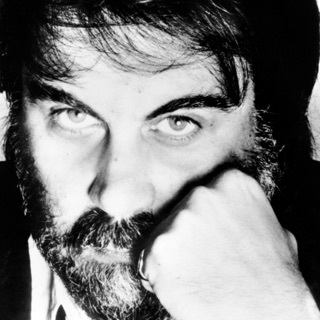 Anderson managed to work with Vangelis Papathanassiou, who had been Yes' first choice for Rick Wakeman's replacement. Although immigration issues forced the band to go with Patrick Moraz instead, Anderson added vocals to the keyboardist's Heaven and Hell album released in 1975. It would definitely not be the last time they would work together. 1976 saw the entire band taking time to record solo albums. Anderson's outing, Olias of Sunhillow, was an ambitious creation. It was an album-long concept piece with nearly all the writing and performances being undertaken by the singer himself. He also added vocals to Yes drummer Alan White's Ramshackled album. The break seemed to revitalize the band and their next release, Going for the One, featuring the return of Rick Wakeman, was a very strong album and ushered the band into 1977 with style. Anderson's role in the group was close to coming to an end for a time, though. He stuck with them through the next album and couple of tours, but when they began recording for the follow up to Tormato, the dreaded "musical differences" cropped up and Anderson left. He definitely did not become idle, though. Indeed, the next couple of years proved very fertile for him. He released his second solo album, Song of Seven, in 1980. That same year, he collaborated again with Papathanassiou. This time they recorded an entire album together and released it under the moniker Jon & Vangelis. The album was called Short Stories, and they enjoyed that work so much that before the end of 1981, they released two more albums together. 1981 also saw Anderson appearing on Rick Wakeman's 1984 album. His next solo release was 1982's Animation, a show he took on the road. 1983 would be another turning point for Anderson. He worked on Mike Oldfield's Crises album, but that would not be the decisive factor in his career. By that time, Yes had been broken up for almost three years. Chris Squire and Alan White were working with a young guitarist named Trevor Rabin on a project called Cinema. Tony Kaye had also been enlisted for the project. Producer and one-time Anderson Yes replacement Trevor Horn suggested that Anderson should add some vocals to the project. Upon agreeing. Anderson remarked that with his voice on the songs it would be Yes. The group agreed and the name Cinema was dropped in favor of Yes. The resulting album, 90125, propelled by the hit single "Owner of a Lonely Heart," saw the band receive more success than they had ever previously attained. A tour ensued, but then the band had some quiet time. Anderson took the opportunity to record another solo album, this time a collection of holiday songs, entitled Three Ships. He also managed to work on a few other projects including movie soundtracks with John Paul Jones and Tangerine Dream. The next Yes album and tour in 1987 saw those musical differences once again appearing and Anderson again left Yes. In the time following his second departure from the group, he released another solo album, this one a rather poppy collection entitled In the City of Angels. He also guested on Toto's release The Seventh One. By that time, he had begun talking with several Yes alumni about working together again. The group of them, Anderson, Steve Howe, Rick Wakeman, and Bill Bruford were joined by Tony Levin and completed an album. The only problem was deciding what to call the group. They had wanted to name it Yes, but Chris Squire proved ownership of that name and was not going to let them use it. So, they chose to forego cleverness and work with their last names. Thus their album was a self-titled one called Anderson- Bruford-Wakeman-Howe. The group toured fairly extensively for the release, but Anderson still wound up finding the time to contribute vocals to Jonathan Elias' Requiem for the Americas album. Another odd turn of events was looming on the horizon, though. As Anderson-Bruford-Wakeman-Howe were working on their second release, Yes was in the process of recording their next album. Lines of communication were once again opened and both projects were combined into one Yes album, dubbed Union. The group toured for the album to both filled stadiums and rave reviews. Anderson still found time to get together with Papathanassiou again and release the next Jon & Vangelis album, Page of Life, in 1991. The following year, he worked on Kitaro's album Dream. Among other projects, Anderson would do another album with Papathanassiou (Chronicles) and two solo albums (Deseo and Change We Must) before the 1994 release of the next Yes album, Talk. The lineup on that disc was back to a five-piece, Steve Howe, Rick Wakeman, and Bill Bruford having gone their separate ways. The next couple of years were quiet ones for Yes, but not for Anderson. He made guest appearances on a few projects and released two new solo albums. And big things were once again on the horizon for Yes. It was announced in late 1995 that Trevor Rabin and Tony Kaye were no longer part of the group. They were replaced by alums Steve Howe and Rick Wakeman. A classic Yes lineup and incredible fan enthusiasm surrounded both the band and Anderson. The group did three shows in San Luis Obispo in March of 1996. The shows were recorded and released along with new studio material as the two Keys to Ascension albums. 1997 saw quite a bit more activity from Anderson. He released two solo albums, the Celtic The Promise Ring and EarthMotherEarth. Yes also released an album featuring his vocals. The disc was called Open Your Eyes and in true Yes tradition of revolving door membership, it did not feature Rick Wakeman, who had already left. Anderson went along with the group on a tour of small intimate theaters that fall. In 1998, he released his next solo album, The More You Know. That same year saw several releases featuring his vocal talents. Among them was 4Him's album Streams, Yes' The Ladder, and Steve Howe's Portraits of Bob Dylan. Touring and working on the Yes album Magnification have kept Anderson pretty busy, but he found time to appear on Béla Fleck & the Flecktones' 2000 release Outbound.